What is it like to have nothing left to lose, truly? When the skin you walk around in, when your barely satiated and surviving body, is – literally – your only remaining home? And it is threatened – by uncertainties, indefinitions of belonging, by physical dangers and deprivations, and burdened, emotionally and psychically, in the not-always-visible ways that having one’s moorings torn away will do to one? The “stateless” refugees whose stories documentary filmmaker Duc Nguyen profiles in his latest project, Nothing Left To Lose, are all-too-often overlooked cases in the refugee crisis. Some have abided in this limbo state–of “statelessness”–for decades. Read more in our Q&A with Duc Nguyen, and follow Nothing Left To Lose on Twitter & Facebook to learn more about this situation. diaCRITICS: In a few words, can you tell us what your documentary Nothing Left To Lose is about? What inspired your journey to making this film? Duc Nguyen: Nothing Left to Lose examines the things that one loses once being displaced in the aftermath of the Vietnam War. It’s also about abandonment and love. The story is about a group of approximately 100 Vietnamese stateless refugees who have lived in hiding for 25 years in Thailand and finally get a chance to find home. It is told through the viewpoint of a physician who came to Canada as a refugee child. But her childhood was marred by her father’s physical and emotional abandonment of the family. We explore the internal as well as the external effects of displacement. What is it like to lose your home? This is the main theme that inspires most of my work. But this particular story is unique in a way that these people have lost everything including their own identities to hang on the hope of resettling in the West. How they survived and built their lives in a foreign land without a legal status for a quarter century was fascinating to me. The strength and endurance of living hopelessly for so long by these people was inspiring to say the least. dC: Your film follows the stories of several “stateless” Vietnamese refugees, some of whom have been stuck in Thailand in this condition of “statelessness” for decades. For our readers who have not seen your film and are not familiar with such stories, can you tell us, in brief, what does it mean to be “stateless”? Are these stories unique (and are they unique to the Vietnamese exodus, in particular)? Is there a prevalent reason why or how this has occurred to some refugees? Each refugee experience has a unique pathway that could determine that person’s fate. DN: A stateless person is someone who is ‘not considered as a national by any state under the operation of its law’. Some stateless persons are also refugees. However, not all refugees are stateless, and many persons who are stateless have never crossed an international border. Not to get geeky, but this is the definition of statelessness from Wikipedia. In this particular situation, the people featured in Nothing Left to Lose were asylum-seekers first, then became stateless after their refugee claims were rejected by United Nation High Commission for Refugees in the 1990s. Back then, to curb the flow of refugees from Southeast Asia, UNHCR implemented a Comprehensive Plan of Action (CPA). Any asylum-seekers who came to another country seeking asylum would go through rigorous screenings. If determined as a refugee, that person could be resettled in a third asylum country. If not, they must [be] returned to Vietnam. As the refugee camps were closing in Southeast Asia, the failed asylum-seekers were forced to “repatriate,” a softer term for “deportation,” back to Vietnam. This particular group of people chose to escape their refugee camp, and stayed in Thailand illegally. While their stories are unique to the Southeast Asian refugee experience, it is a piece of puzzle to the universal phenomenon of global migration and immigration happening today. I have made another documentary about another group of stateless Vietnamese in the Philippines called “Stateless.” They suffered the same fate. Failed as refugees, they decided to stay in the Philippines for 16 years before being accepted to the U.S. But the folks in Thailand are a bit different. For many of them, their ethnic identities were blurred, as some were mixed Vietnamese Cambodian or ethnic Chinese. And since Thailand is geographically bordered to Cambodia, some of them were regularly captured and deported to Cambodia. The stateless refugees in Thailand often falsified their identities as Cambodian so if deported they could have another chance to return to Thailand. So, border played a role here in their immigration pathway. Each refugee experience has a unique pathway that could determine that person’s fate. Timing is a also a big factor. But more importantly, compassion. dC: Can you tell us a little about your process, your research, and your relationships with the “stateless” refugees whose stories you follow? How did you meet them? How long have you been working on documenting these stories? DN: I started to discover the stateless Vietnamese in 2005 when I travelled to the Philippines to shoot my first documentary “Bolinao 52.” There I met with some of them and conducted interviews while they were being interviewed by the immigration officials from the U.S. for resettlement. I also got connected with Hoi Trinh, the human rights lawyer who lobbied for their resettlement. 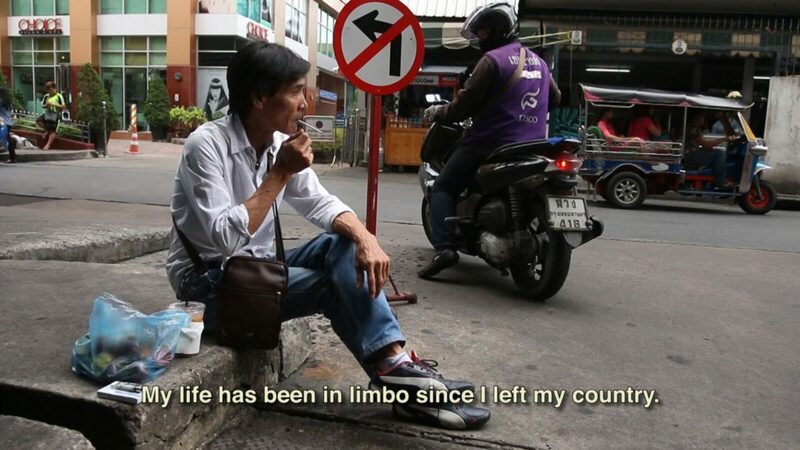 Later that year, about 2000 stateless Vietnamese in the Philippines resettled in the U.S. Some who didn’t get to come to the U.S. went to Canada and other countries. I followed several people in the U.S. as their lives progressed in the new country and eventually became U.S. citizens. That was the premise of my second documentary “Stateless.” Shortly after that, Hoi Trinh was asked to help a group of people in Thailand. At first, he reluctantly resisted. But over time, he decided to take on their cases. In 2012, we went to Canada and met with the Immigration Minister at the time, Jason Kenney. He had seen the positive outcomes from the folks that came from the Philippines. So the Canadian government created a discreet program to allow the folks from Thailand to come to Canada under the condition that the Vietnamese community would pick up the tabs. It means that each stateless person has to have sponsors who can financially cover the airfares, application fees, processing fees, and living expenses for one year after arrival. Plus, the community has to find housing, work, schooling and take care of the logistics for the stateless. Hoi Trinh then put on fundraising events all over the world and found necessary requirements to bring the long lost stateless from Thailand to Canada. Ironically, the stateless from the Philippines who resettled in the U.S., Norway and Canada gathered and footed the effort to raise necessary funds to bring their compatriots to the West. In Southern California, yearly they reunite in January to catch up with each other and plan the next deeds to repay back what they have been given, another chance to thrive. The psychological effect of war is prevalent and penetrating for those who were in it and the people around them. dC: What an amazing collective effort that must have been, and so much work and support entailed in setting “new” lives on course. What were some challenges for yourself in the making and/or distributing of this film? DN: The biggest challenge in making films, this one or any that I’ve made, is finance. Making a film costs money, period. For this film, it was necessary to create a hybrid project which is a combination of commercial television series/personal documentary. We brought in a partner who was producing a health and lifestyle television series on local Vietnamese television channels. Hoi Trinh is a co-host on the show. So when we travelled to shoot on locations, Dr. Hannah Vu, our co-producer, also shot for her TV series and covered the expenses. We had virtually no financial supports from anyone except for a core group of supporters who have always been there. I invested my own money, in-kind services and time into building the film as we went along. We aimed to finish it in 2015 in time for the 40th anniversary of the end of the War. But we were short on funding. Then in 2016, I was contacted by a local PBS station in southern California. They were looking for Vietnamese-themed films to be part of a locally produced series to accompany the mega release of Ken Burns’ TV series “Vietnam War.” Of course, I pitched our project which was called “Freedom At Last” at the time. They liked it and said that they might provide some finishing funds. Months later, they came back and said there was no money but [they were] still interested. The program manager sent me a letter of interest. Then shortly after, she backtracked and said that in order for their station to represent this film, I would have to pay a representing fee. 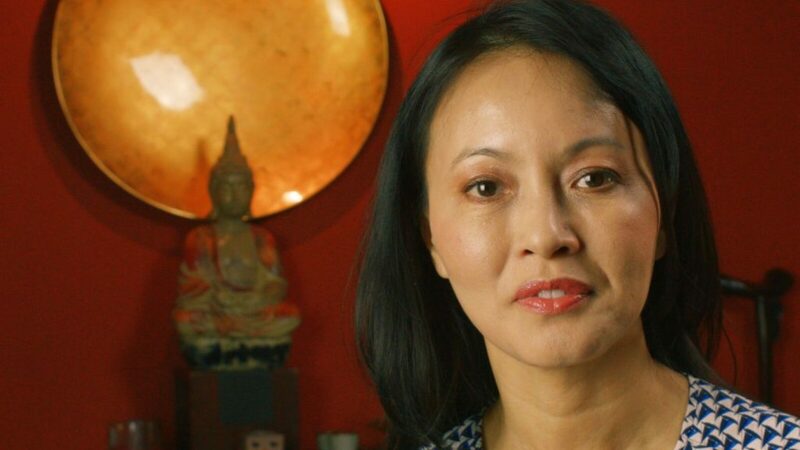 By that time, our core supporter, Center for Asian American Media came in with a finishing film fund, and our co-producer contributed some additional fund to complete the film in time for September 2017 release inline with Ken Burns’ series. The stations across the country needed to fill their airtime with Vietnamesque programming in Fall 2017 as PBS heavily promoted Ken Burns’ Vietnam War series. Nothing Left to Lose premiered in September 2017 and continued to air on various stations. That’s about making the film. For distribution, it’s a different story. I really didn’t think that Nothing Left to Lose would have a chance to be seen if it wasn’t for Ken Burns. Television programming is usually planned, strategized and scheduled ahead of time. Ken Burns’ series on the Vietnam War has been planned for years. It was a major television event for PBS and the local stations featured programs relating to the Vietnam War theme. Personal documentaries like Nothing Left to Lose, especially ethnic stories, don’t get the desirable exposure from the network. They often landed on the World Channel. dC: What were some surprises or discoveries, any outcomes to celebrate, in the making and/or distributing of this film? DN: Sometimes, the most compelling story happened right under your nose while you were busy chasing stories elsewhere. In our case, the emotional hook of the film belonged to one of the producers of the film, as it was narrated by and starred my co-producer Dr. Hannah Vu. When we began shooting in 2012 in Ottawa, Canada where she grew up, she mentioned that her father was still living there even though she had been transplanted to California for a while. That was all she said. I was curious as to why she didn’t visit her father on that trip. Not until much later in the production did she reveal about her estranged relationship with her father. Dr. Vu’s father was a South Vietnamese Navy officer who was in charge of a fleet around Saigon during the war. At the end of the war, they left Vietnam with the evacuation by the U.S. They resettled in Canada where they were sponsored. Dr. Vu grew up without the presence of a father. According to her, even though he was around, he never paid attention to his family, never took the family out on vacation, no dining out or playing with the children. In an interview, she quietly wept while explaining that as a kid, her father told her that she was no use for the family because she would not carry his name. Her children would never carry his name. As she became an adult, she wanted to prove him wrong. She studied hard to make a name for herself. But she had not spoken to him for over 20 years. But perhaps witnessing the hardships by the stateless in Thailand, she had more empathy toward her father who is living with dementia in a nursing home by himself. Dr. Vu has since changed her view of her father and is in the process to bring him to California where she is living. What intrigued me about this story was how the Vietnam War affected people on so many levels. It left an indelible mark on those who fought in it and those in the peripheral ring. In the case of Dr. Vu’s father and many other South Vietnam veterans, losing the war was a major defeat for their pride. Those who were fortunate enough to resettle in the West focused so intensely on regaining their dignity through hard work. Sometimes they forgot about their family. The psychological effect of war is prevalent and penetrating for those who were in it and the people around them. In the process of making this film, I was able to gain a bit more understanding about conflict, abandonment, hope, love and loss in the context of war casualties. The current name of the film, Nothing Left to Lose, is a derivation from the lyrics in Kris Kristofferson’s Me and Bobby McGee: “Freedom is another word for nothing left to lose.” When you are searching for freedom you may lose it all. So true. dC: What would you most like viewers to take away or learn from seeing this film? DN: There are two groups of people I would like to watch this film. One is the Vietnamese overseas community and the other is the general audience. For the first group of viewers which consists the diasporic Vietnamese community, I want them to get a deeper sense of understanding the role of the Vietnamese father. We often talked about “Mẹ Việt Nam” Vietnamese mom. But this film is dedicated to our fathers who have sacrificed much of their lives to give us what we have today. Many of them are quietly passing, taking with them their sorrow of losing the war. As I mentioned earlier, the story of Dr. Vu in the film and her father came as a surprise. However, her story of being estranged by her father was uncovered as healing process for herself and the film. I feel that the pain many of the men who served in the South Vietnamese military are carrying must be discussed in an open conversation instead of behind closed doors. Their stories should be told. For the second group, the general audience, the ideas of home and nationality and citizenship are the forefront topics. As the immigration debate continues to rage on pop news circus, we need to look at the privilege of earning a citizenship of a country, any country. The basic human rights like travel, earning a living, education or ownership are determined by a document you have on you is preposterous. Being undocumented means being stripped of all rights. Especially at a time when the undocumented and the ex-felons are being hunted and deported back to their countries, being stateless, illegal or undocumented is being dehumanized all over again. An Emmy Award winner, Duc Nguyen’s documentaries cover the subjects of home, immigration, war, conflict history and reconciliation. His work includes, Mediated Reality, a documentary about the tug-of-war between the U.S. and Cuba over 6-year-old Elian Gonzalez. Bolinao 52, a documentary about an ill-fated journey of a Vietnamese refugee boat that later won 2 Northern California Regional Emmy Awards in 2009 for Outstanding Achievement in Documentary and Outstanding Music Composition. 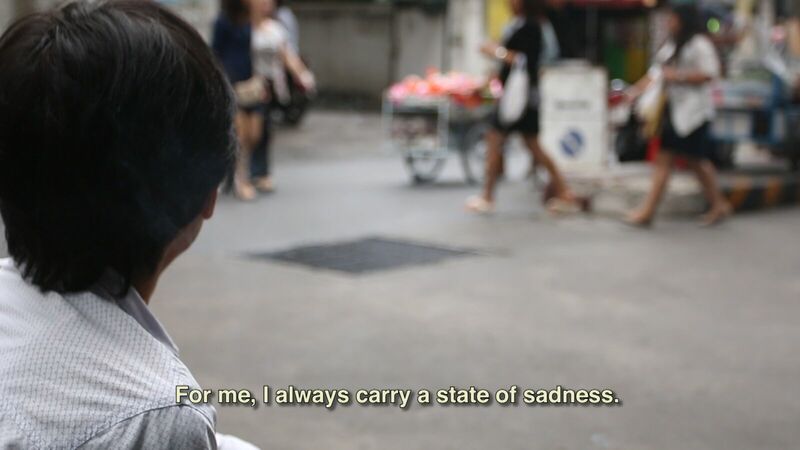 Stateless, a documentary about a group of Vietnamese who were stuck in the Philippines without a home for 16 years, won an Audience Choice Award as well as a Spotlight Award in 2013 at the Vietnamese International Film Festival. In 2017, Duc produced, directed and edited his third installment for the Vietnamese boat-people trilogy, Nothing Left to Lose. It tells the story of approximately 100 Vietnamese refugees who have each lived in hiding for 25 years hoping to one day reclaim the dignity of being recognized as a person.